Parrot has just unveiled its latest in audio wares, the Zik 2.0. The sequel headphones still make use of Bluetooth connectivity, touch controls, and noise-cancelling tech that appeared on the original Zik. Parrot is touting the new lug-huggers as 'more beautiful', as well as being lighter, more autonomous, and offering up more sensors. The firm has once again teamed up with French design don Philippe Starck in creating the Zik 2.0 headphones. This has resulted in a minimalist aesthetic and six stylish colour options to boot. The Zik 2.0 sports a capacitive command panel which registers various finger swipes that allow various audio control options. The built-in sensors also enable head detection, which means your music will pause when you put the headphones around your neck. 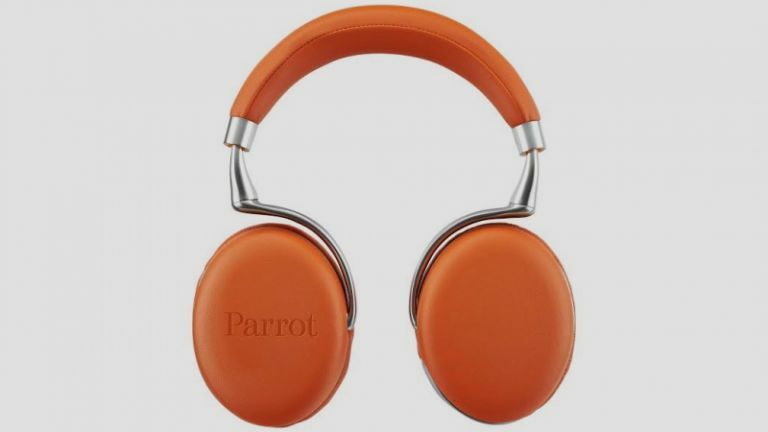 The headphones are also good for high-def phone alling, and can connect to Parrot's dedicated Zik 2.0 smartphone app. The app hands over the reins for various audio settings, including concert hall effects, studio-style 'producer mode', and equaliser functionality. For the aesthetically minded, Parrot also promises that the app will change its background hue depending on which headphone colour option you picked up. In the box you'll find an 830mAh Li-Ion battery, a microUSB cable, a three-point mini jack 3 cable, a protective pouch, and a guide. If you're already keen to snag one, you'll be looking at a £229 price tag at Apple stores nationwide. There's a bit of a wait though, as Parrot says its new Zik 2.0 headphones won't hit shop shelves until November this year.